Europe's most historic tournament is back. In it's 26th year in 2007, the Irish Poker Open promises to be twice the size and twice the ‘craic’. With €2,000,000 in the prize pool, Europe's elite are sure to flood over to Ireland. 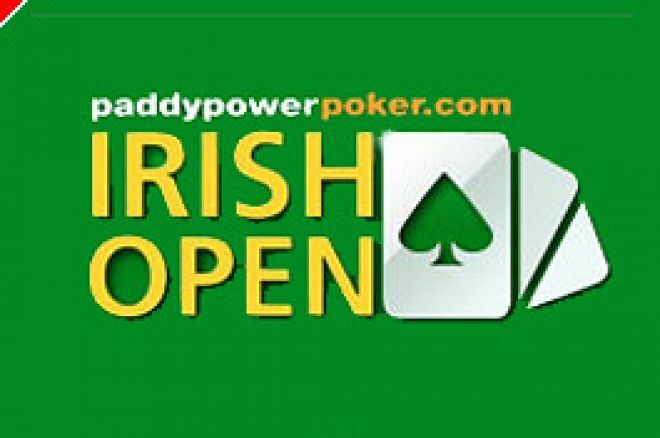 Paddy Power Poker have doubled the prize pool for the upcoming Irish Poker Open. In 2006 the guaranteed pot was a chunky €1,000,000. Building on the success of the tournament from earlier this year, the boys at PPP have gone crazy (again) and made the 2007 pot €2,000,000. This means the 2007 Irish Poker Open will be Europe's most richest poker event AND in terms of player numbers, the largest. The capacity of the event will be 800. Two "Day ones" will be played with a maximum of 400 players in each day. Players can buy-in directly or qualify via satellites online. The buy in is €3,300 with a €200 registration fee. Vincent Melinn, picked up the €350,000 first prize in 2006. In 2007 it could be you. Prepare for an Irish Poker Summer – Macau Style!